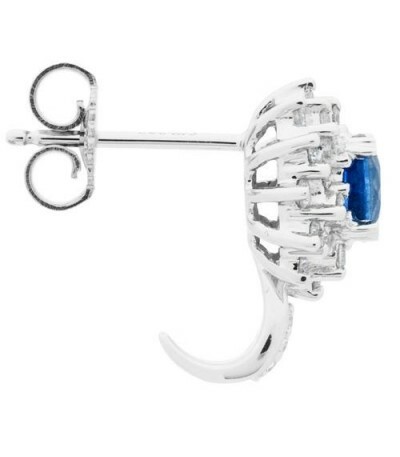 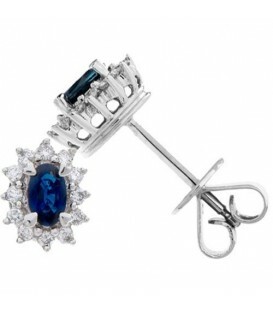 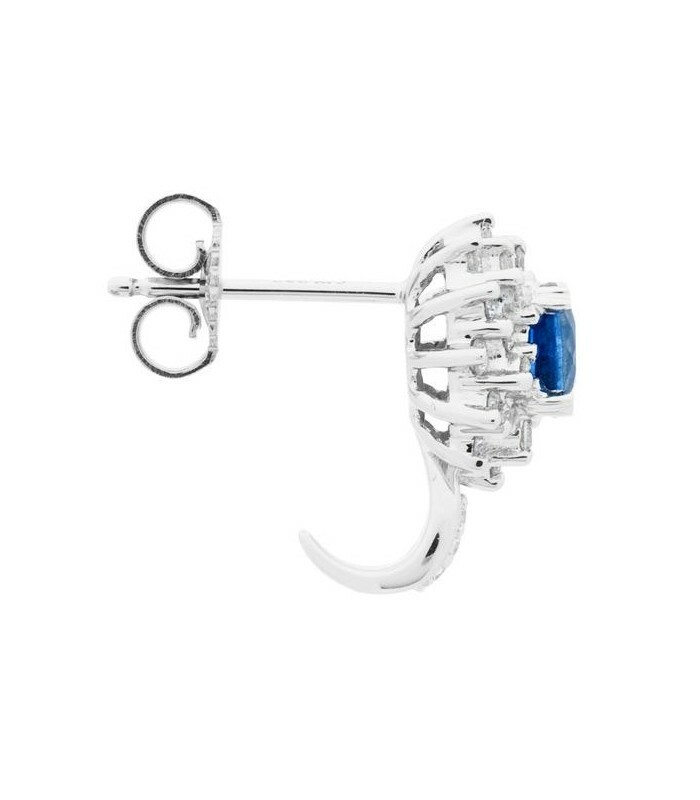 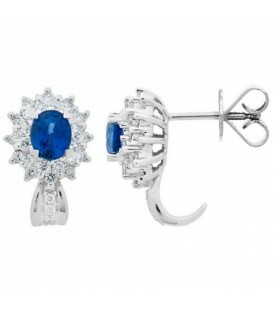 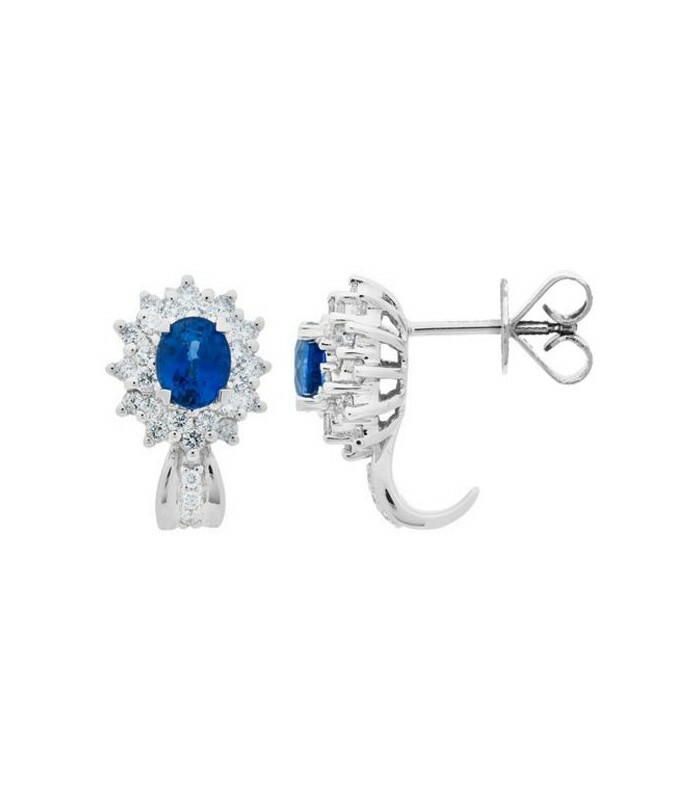 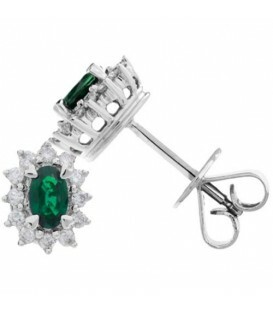 Stylishly Classic Blue Sapphire and Diamond Princess Diana style 18 Karat White Gold Pierced Earrings with cute diamond studded tails that tuck behind the ear. 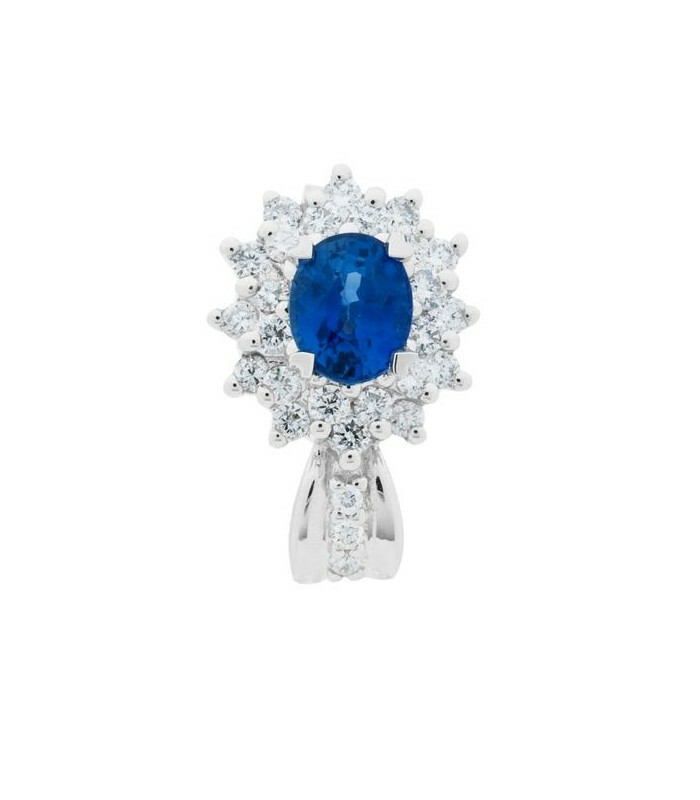 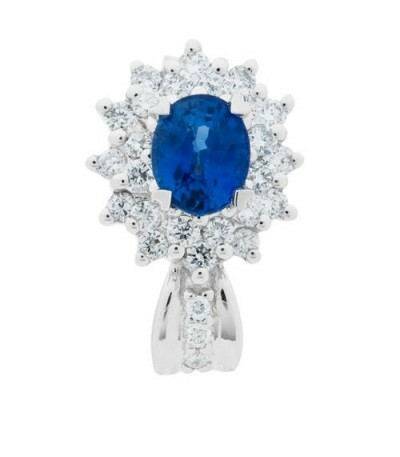 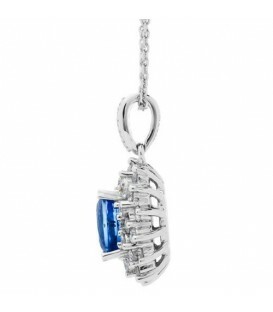 Two oval cut Sapphires and round brilliant Diamonds in an exclusive 18 Karat white Gold Amoro design. *EARRINGS* One (1) pair of eighteen karat (18kt) white gold Sapphire and Diamond earrings, featuring: Two (2) prong set, oval cut, Genuine Sapphires weighing approximately 0.94 carats; forty-eight (48) prong set, round brilliant, Genuine Diamonds weighing approximately 0.48 carats; and six (6) bead set, round brilliant, Genuine Diamonds weighing approximately 0.03 carats. 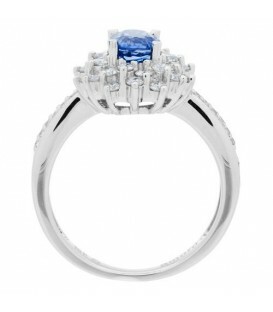 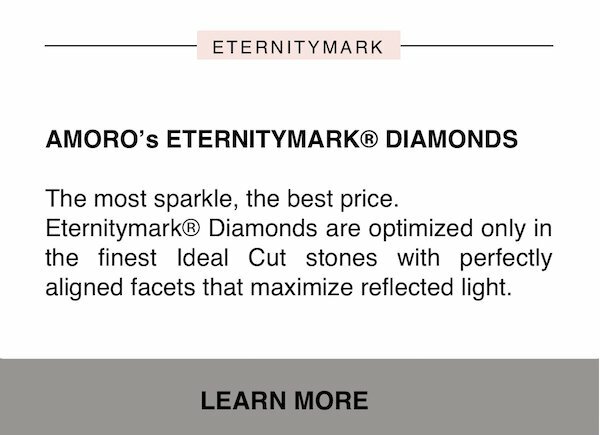 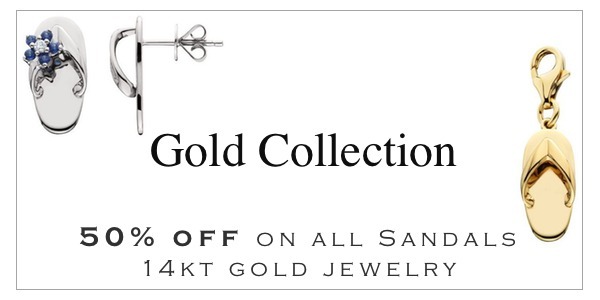 Diamond clarity: SI2 and Diamond color: H-I.